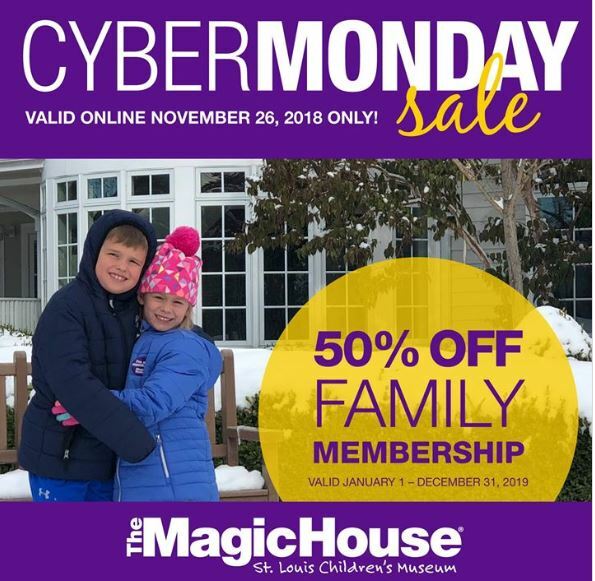 The Magic House Cyber Monday Deal is LIVE! Today only, purchase a 2019 (January 1 – December 31, 2019) Family Membership for just $90! This special membership includes unlimited free admission for your family all year long, 8 free guest passes ($96 value), invitations to free members-only events and more! Hurry, this offer is only available today, Monday, November 26 until 11:59 pm (CST)! For details and to purchase, visit https://www.magichouse.org/cybermonday. Check out more bargains on the Cyber Monday Deals Page.